During the long winter months each year I take a bit of time to do a little tackle organization. Basically, put everything back where it belongs, clean out the dirt and figure out what needs fixing, replacing or replenishing. 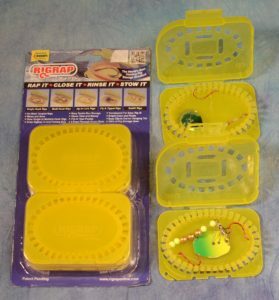 One of my noted frustrations from last year was the storage I’ve been using for my worm and bait harnesses (also known as bottom bouncing rigs, spinner rigs, live bait rigs etc.). 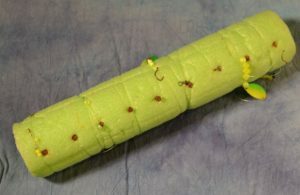 I’ve been using a homemade system that allows you to wrap the harnesses around a piece of foam pool noodle with nails glued into it. It worked ok but not perfectly, plus it took up too much room in my small storage compartments. I did a fair bit of this type of walleye fishing on my trip to Lake Nipissing last summer. It was very effective trolling with the electric motor over flats and reef edges in a zigzag or lazy S pattern running at speeds of between 0.8 to 1.2 mph. Using a GPS enabled electric trolling motor for this type of fishing is just so much easier than back trolling with the main motor. I have my Motorguide Xi5 networked in with my Lowrance unit. This allows me to set an exact speed that the trolling motor will stick to. No need to manually compensate for wind or current every time you change direction. All you need to do is concentrate on fishing! Getting back to tackle organization. 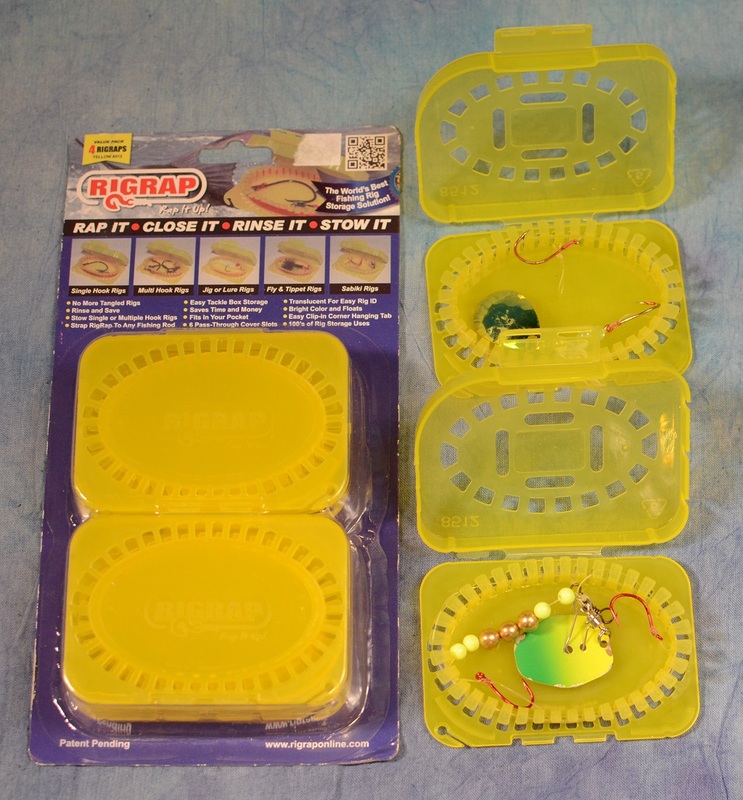 After looking at a number of options (such as Lindy and Plano) I’ve decided to go with RIGRAP (for clearly marketing purposes this is all caps…) tangle free fishing rig storage packs. More marketing speak from them highlights a unique storage spool, rinsing & drain ports, leader pass-through slots, a corner hanging tab, strap slots, and translucency for easy rig identification. Product Review, Tackle, Trolling, Walleye.